For Version 2.0.0, if you want to upgrade the new version from the old version, you need to uninstall the old version at first, and then install the latest version as you like, otherwise the two version will be on your computer. Sorry for the inconvenience. 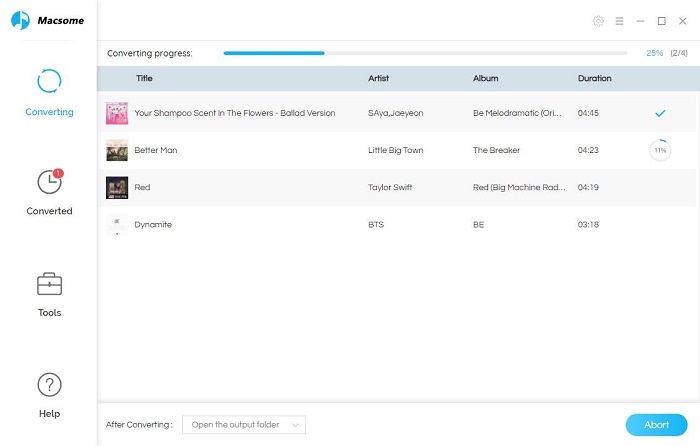 Step 1: Add Audio files. Click the button +, you can choose the different iTunes library to add the audio files to convert. Click Setting button to set the output format and output path before the conversion as your need. Output: Where you can find the output files. You can customize the output directory by clicking the button Browse. 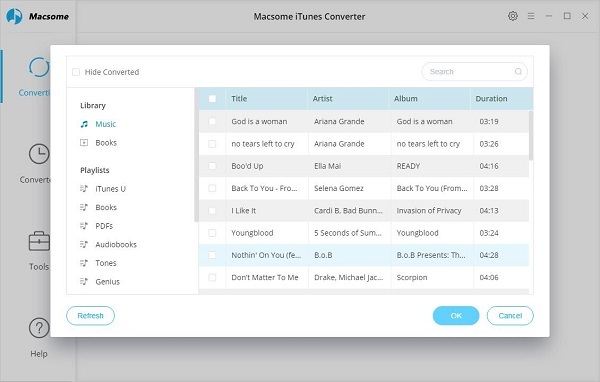 Convert setting Format: The output format including MP3, M4A, M4B, WAV, FLAC. Output file format: The output file format including High, Medium, Low and audiobooks with Sample Rate. Convert Speed : You can customize the conversion speed to 1x, 5x and 10x. History Setting : You can decide to whether delete locale file when remove history or not. 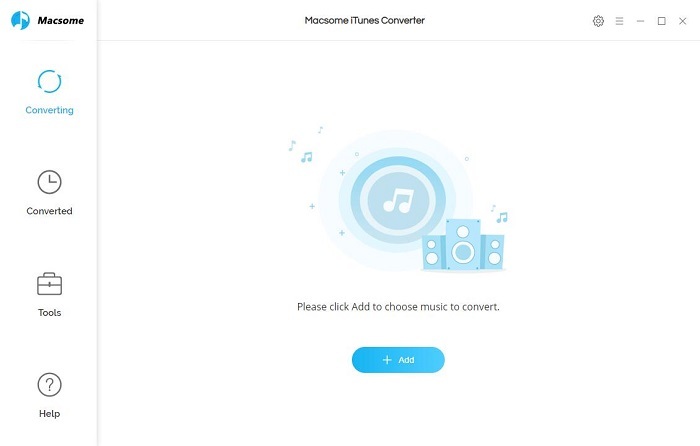 Click the Convert button to start converting. 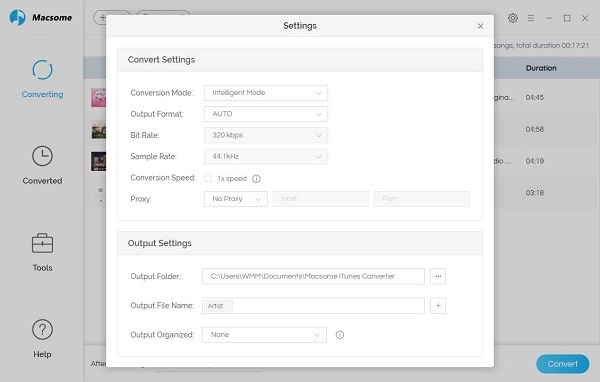 When the converting finished, you can get the output file directly by clicking Output file option.